Upcoming album soon ! The Lavoblaster Remix by DUBAMIX ! 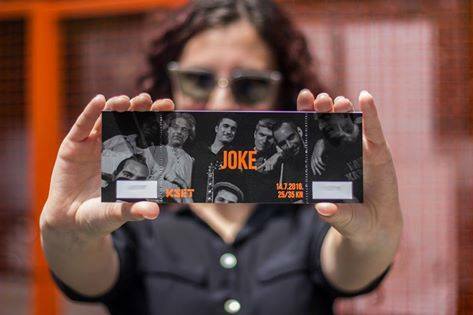 The JOKE se prépare... 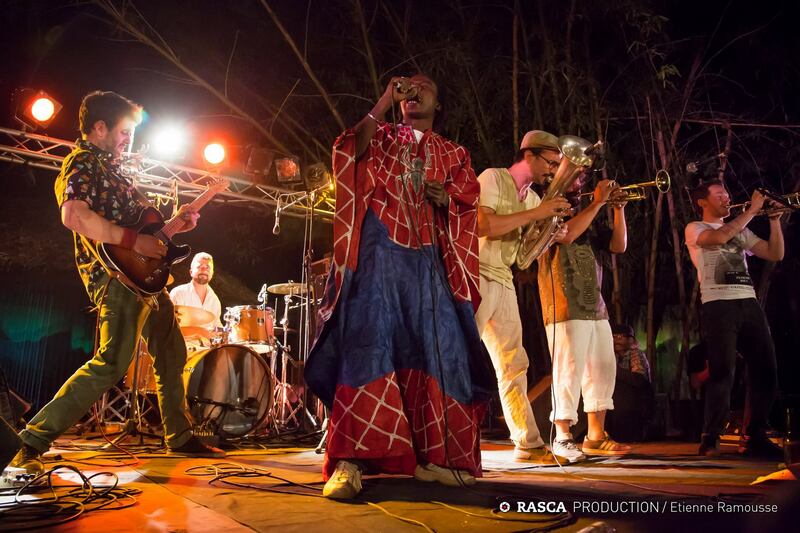 Le BurkinaFasoTour commence en mars 2016. Rendez-vous à Ouagadougou autour de RockAOuaga, le seul et unique festival rock d'Afrique Subsaharienne ! La tournée est finie, merci à vous ! 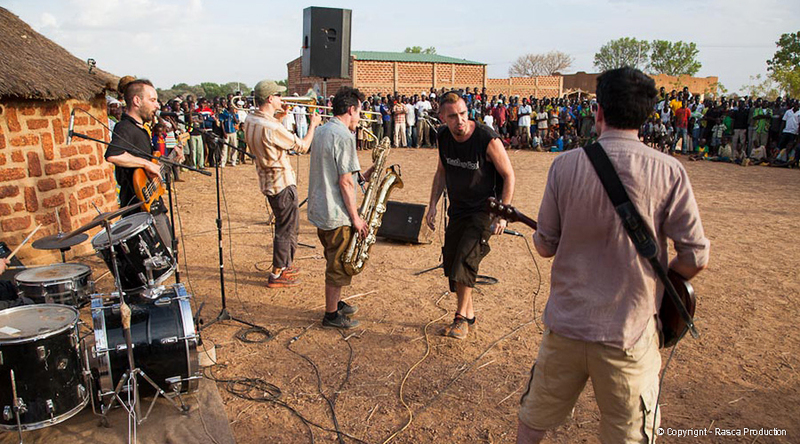 Maintenant on va dormir et on se retrouve en mars 2016 en Afrique de l'Ouest ! Ljudi/les gens! Dolazimo/On arrive! 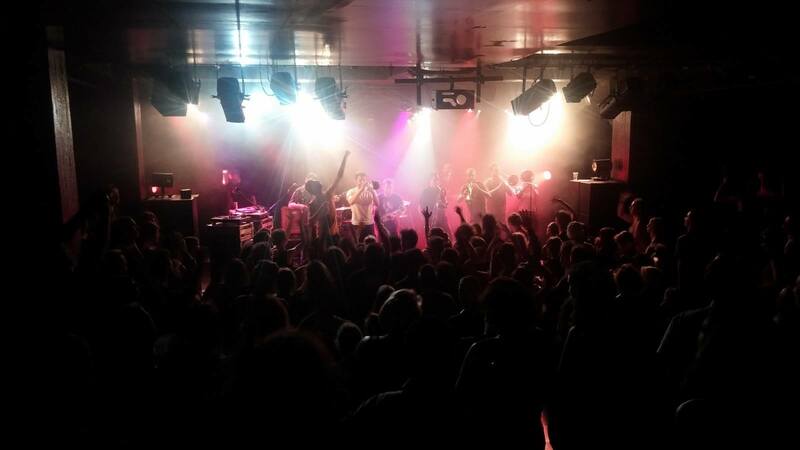 The BalkanskaPonubaTour2015 is on your way... End of July, Slovenija, Srbija, Hrvatska. Allez encore un petit effort et ce sera fini. Fin de notre hibernation prevu le 1er mars a cachan, chez nous ! Le "making" of de l'album LAVOBLASTER en 10 épisodes par Rasca Prod, est en ligne sur http://youtube.com/user/rascaproduction !!! Des vidéos à ne pas rater ! 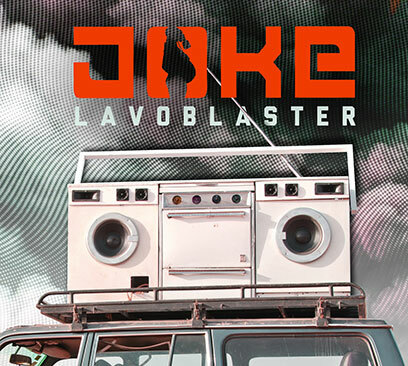 LAVOBLASTER, nouvel album de Joke, est sorti ! Téléchargez le gratuitement sur le site. Kiffez-le et partagez le à donf sur les réseaux sociaux ! 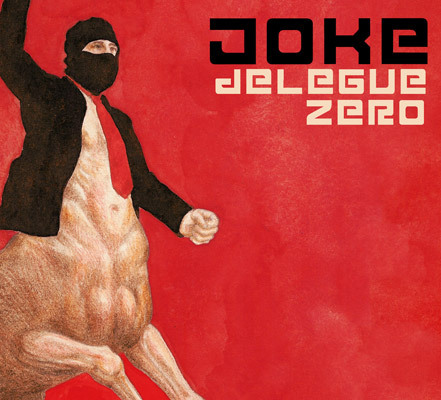 Accustomed to international tours and fed with multiple influences, The JOKE expands its errorist crossover. 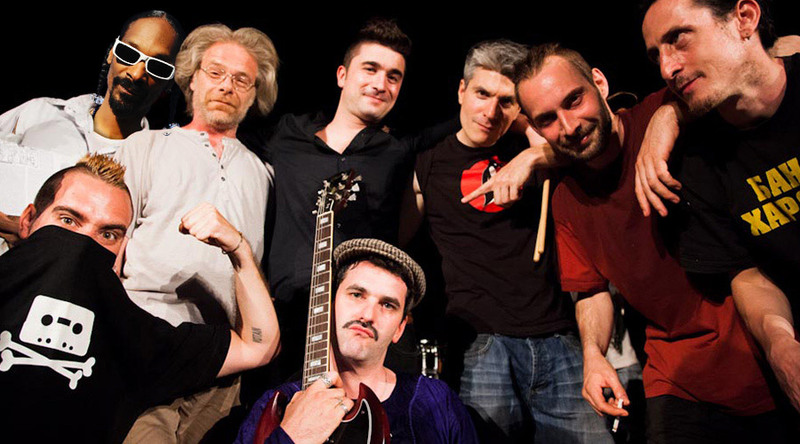 Some would say "International Citizens", others would call them "Witness of an era", the Parisian combo overcomes labels to deliver a music all on edge. 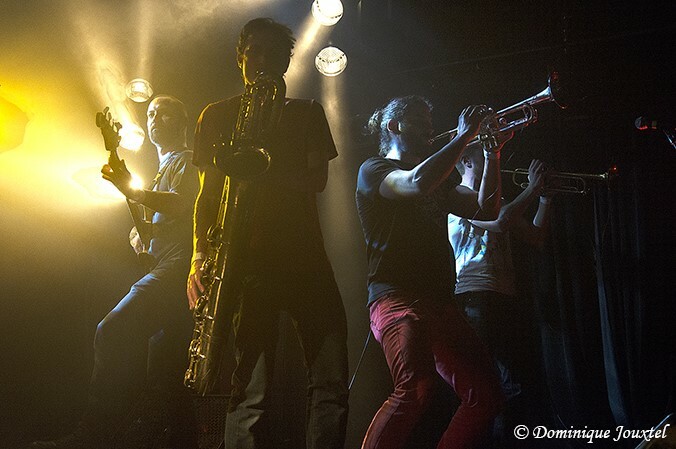 Basically funk and rock'n'roll in the soul, soukous, Afrobeat, hip-hop, ragga pass also through the mill of this band. Their message is concerned, and even appalled ... but never moralistic. As if Africa and Balkans would met in a parisian cellar. A collective experience that leaves an enriching trace. 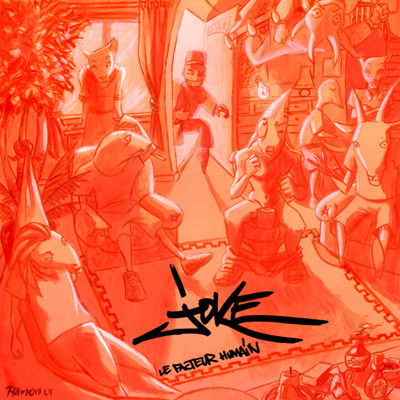 Recorded during a tour in Burkina Faso, Joke presents their new album "Lavoblaster". 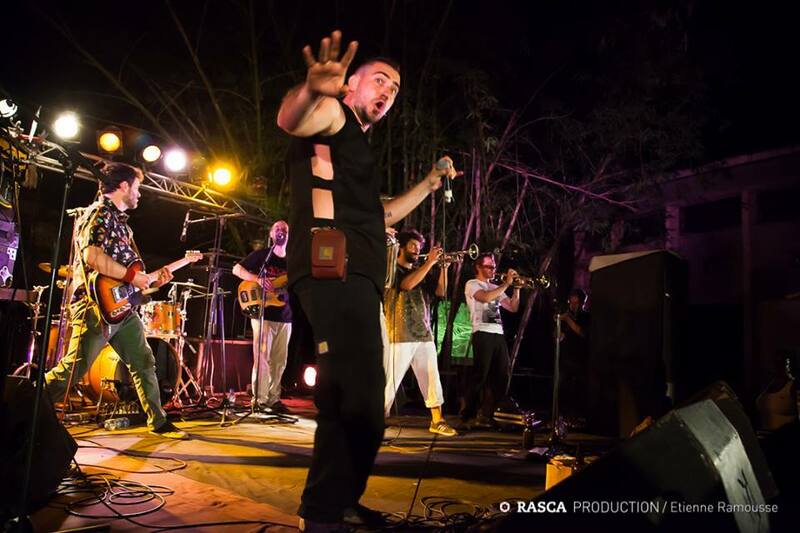 It contains the finest Ouagalais' rap (D-Oud, Busta gaeenga, Valian, Art Melody ...), renowned musicians from Burkina Faso (Victor Deme, Issouf Diabaté, Bebey Bissongo ...), without forgetting other featurings such as Dubamix (France), Dubioza Kolektiv (Bosnia) and Djmawi Africa (Algeria). Here are 14 tracks with some texts still involved, some energizing rhythmic, some brass colors, and some rage tearing guts out. Already 4757 downloads and 5600 physical sales. 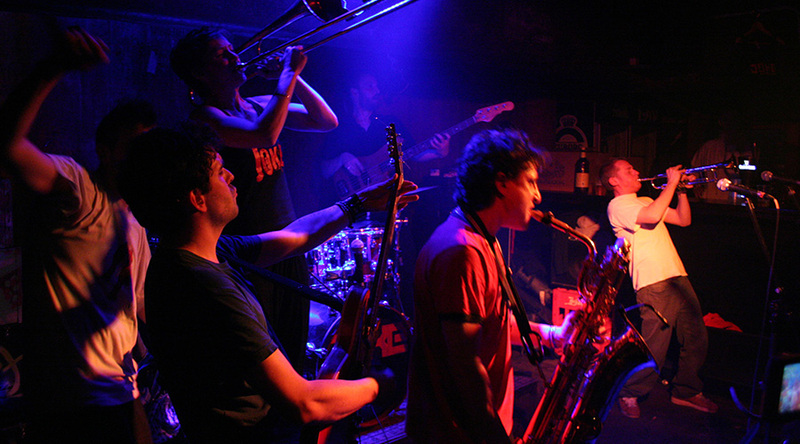 A 9 tracks opus, dedicated to party and fight came out in sorti en 2007. One o fthe track adapts the Jacques Debronckart's anti-militarist song : Mutins de 1917. This disc includes one track with the voice of Alex Tymar (Rien de neuf sous le soleil vert) and two videos. 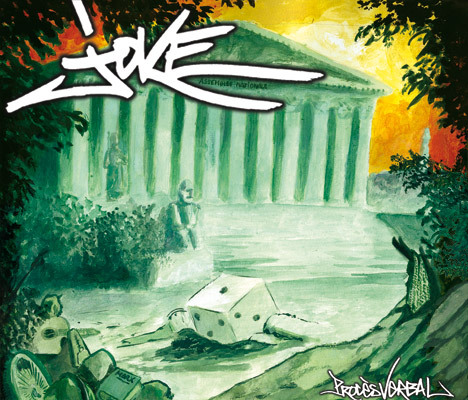 Cover by La chevres aux epices. Already 4345 downloads and 3500 physical sales. 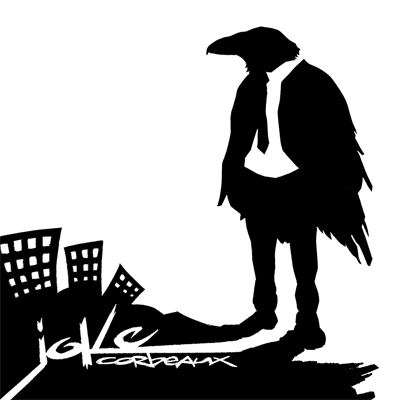 4 tracks recorded between Fresnes' MJC and Avant-scene in Reuil in 2005. We can find in the 1st studio version of the Francois beranger's text: Le monde bouge. Cover by Alex Eudier from La Barbouille. Already 3808 downloads and 550 physical sales. The first real disc of the bend, came out in 2001, after few laborious cassettes. This disc starts to be really old and it's no more available (sold out). If it does not look like our current music, it's quite funny to listen to. Already 3730 downloads and 670 physical sales.